Went to the Great Yorkshire Show at Harrogate on Wednesday and the weather held out until 5pm. Another very good show and very busy. The Food Pavilion was full to bursting with both large and small scale suppliers and lots of people. Everything on offer including, Yorkshire Crisps, Burdass Lamb, Pork Scratchings, Pork pies and more pies, fruit, veg boxes, all sorts of sausages, cakes, soups, curry sauces, a little bit of everything really. I also just happened to be passing the cookery theatre as Bruce Elsworth from the Angel Inn at Hetton and Robert Phillip from Hellifield Highland Beef were about to start there demonstration. it was very good with both Robert & Bruce working well with each other, one from the Chef’s point of view and the other farmer, producers angle. The meat looked fantastic, rich ruby red colour with a nice marbling of fat, well hung and just how real beef should look. Bruce managed to cram a lot of dishes into his half hour slot and included his own twist on the use of various cuts like mince, brisket and oxtail, all good value cuts. First Bruce commented on the quality of proper mince, good quality, ruby red, minced coarsly not too fine and he preparerd homemade beefburgers, like this:- best coarse mince, a little finely chopped onion, garlic puree, salt & pepper, fresh thyme & parsley and a dash of Worcestershire Sauce, gently mixed together by hand and then formed into a ball and pushed into a metal ring to form a nice thick burger. Cooked for 2 or 3 minutes on each side to leave a nice juicy burger. if you fancy a cheeseburger Bruce suggested incorporating a ball of blue Wensleydale into the ball of burger meat before pressing into the burger shape so the ball of cheese is in the middle of the burger and will melt and ooze as it cooks. Served in a bread bun with a green salad and home made salsa. The salsa was just skinned & deseeded tomatoes, chopped red onion or shallot, salt & pepper and olive oil. 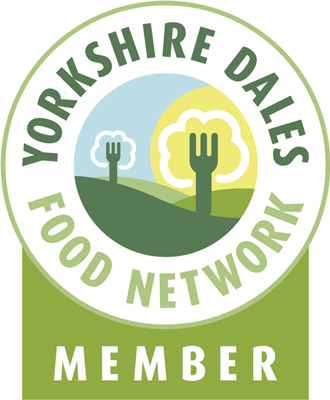 This entry was posted in Food, Yorkshire Dales Food and tagged angel inn, Beef, beefburger, brasing, bruce, elsworth, harrogate, hellifield, highland, homemade, oxtail, recipe, robert phillip, salsa, shin, show, soup, Steak, Yorkshire. Bookmark the permalink.